Are you listed on the kindle? Today I wanted to show you how to put your blog on the kindle. Why? The Kindle Team will take it from there. They’ll review your blog and let you know once it’s available on the Kindle. Pretty simple huh? Kindle will automatically assign a standard subscription fee for your blog, which you can’t change. It’s something like $1.99. You do however receive a small percentage of the proceeds but don’t expect it to be a big money-maker. So why bother? Like I said, exposure. It’s a nice way to get “social proof.” Your blog will automatically have a higher perceived value simply because it’s published on the kindle and available for subscription. And who knows what new readers may come across your blog while browsing amazon? Here’s one Real Estate Agent who got her blog listed on the kindle. So, will you be adding your blog to the Kindle? Great tip! Thanks Ricardo as I was not aware as how easy this was to do. I am going to take a shot at it and see what happens. Why not, it cannot hurt. Thanks for the tip. Just submitted 2 blogs. w00t w00t! Link me once they’re approved James. There’s no badge that Kindle provides to post on your blog (at least not that I’m aware of). So it’d be neat to see how folks promote it on their sites if at all anywhere. I went ahead and signed up… took 10 minutes including screen shots. Can’t hurt, right? Ricardo, Thanks so much for the mention! I finally ordered a Kindle yesterday, decided it was high time for me get on board with the technology. Setting my blog up was so easy, and I’m excited to see just how user friendly the Kindle is now. I’m a book lover to. That’s why it’s taken me so long to take the plunge. Thanks for the tip! 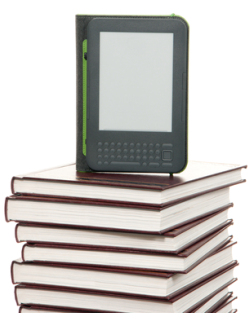 I can’t live without my Kindle so naturally it makes good sense to publish my blog there. Just submitted all the info and now waiting for it to go live. Shawn: That’s awesome. Pretty simple eh? “don’t expect it to be a big money-maker”….rats….I was hoping to cash in Ricardo. Thanks for the info Richardo. Keep up the great job you’re doing with the blog…lots of great info you’re providing. Thanks for the great feedback Ben. Just doing my part to point you all to the best tools on the web to help you rock out your websites! My blog got approved! That was fast. Yep, told ya it’d be easy! What an excellent piece of information. I know what Kindles are, but I didn’t know people who used them have the ability to read blogs. I think I just made my first $0.19!